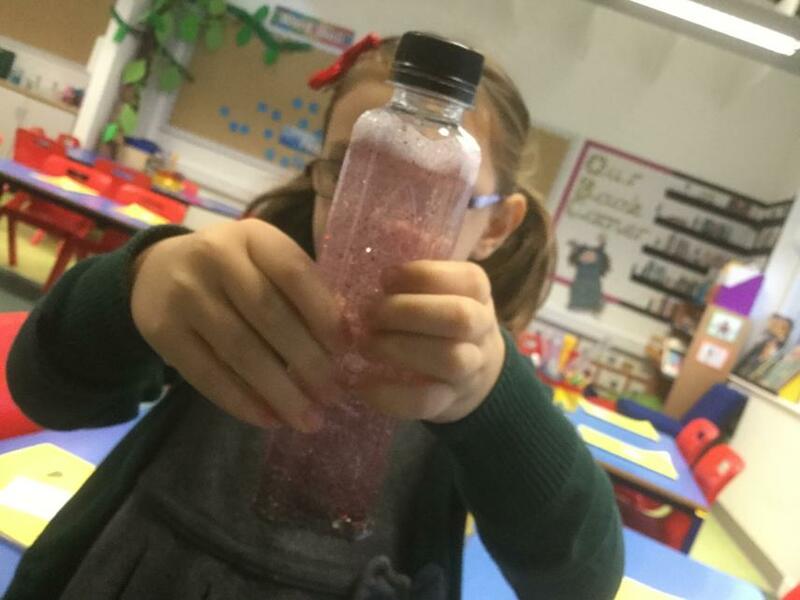 As a part of our MindUP lessons, every child has now made an Amygdala Bottle for them to use at home! The amygdala (puffer fish) is the part of our brain that helps to keep us safe by reacting to danger, whether or not that danger is real or perceived. It is in control of our feelings and behaviour, and when it is in charge of our brains, it can be hard to make good choices. The amygdala bottle your child has made represents the amygdala in our brain. When you shake the bottle, it is like the amygdala when it is out of control such as when we are upset, angry or frightened. By watching the contents of the bottle settle, and focusing on our breathing we can make sure that our pre-frontal cortex (wise owl) and hippocampus (seahorse) are back in control, helping us to make good choices. This is a great strategy for children to engage with MindUP and mindful breathing at home.